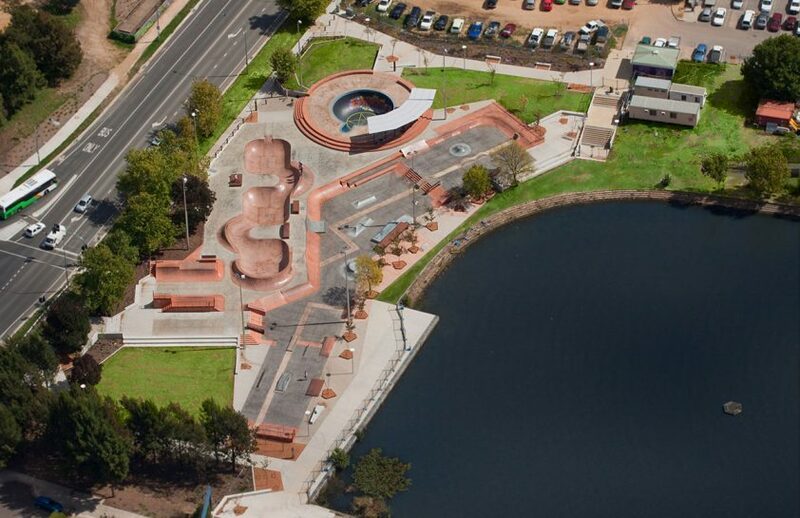 As part of a wider upgrade of the Lake Ginninderra foreshore, the Belconnen Skate Park and public realm was redeveloped to become Australia’s largest skate park facility. Retaining the iconic ‘Belco Bowl’, it was designed to the highest international skating and BMX standards, incorporating a street skate plaza, sculptural obstacles, snake run, mini ramp, shelter, seating and viewing area. 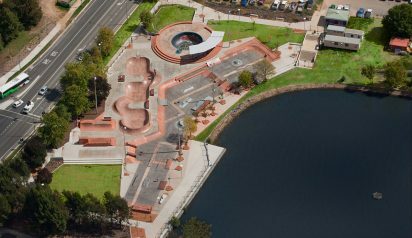 The facility hosts the Belco Bowl Jam, one of Australia’s longest running skateboarding events attracting top international and local bowl riders as well as regular skate competitions and skill workshops, such as ‘Skatewise’, the winter skateboarding clinics run by Skateboarding Australia.